I love me some eggs for dinner. not the typical thing, but my dad made that at home at times and I really like it. and it’s a quick and yummy option with things that you might have at home anyway. I always keep a loaf of bread in the freezer for just something like that. 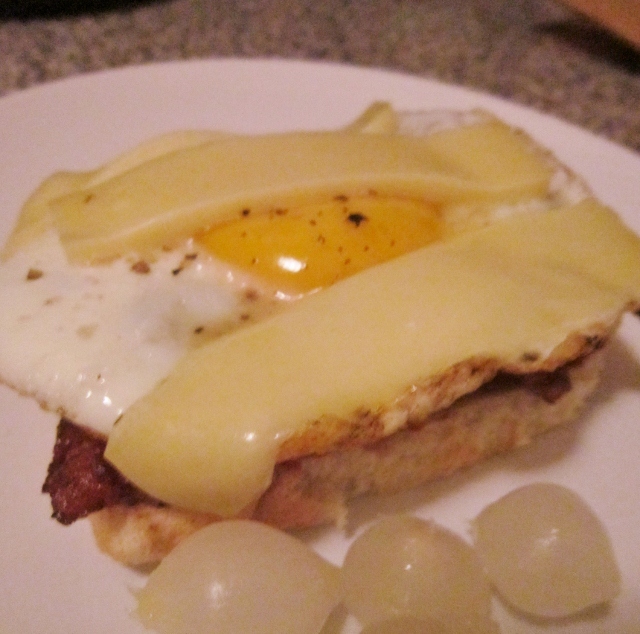 I also still had some delicious, original Swiss Gruyère and bought some bacon for our Thanksgiving dinner tomorrow. 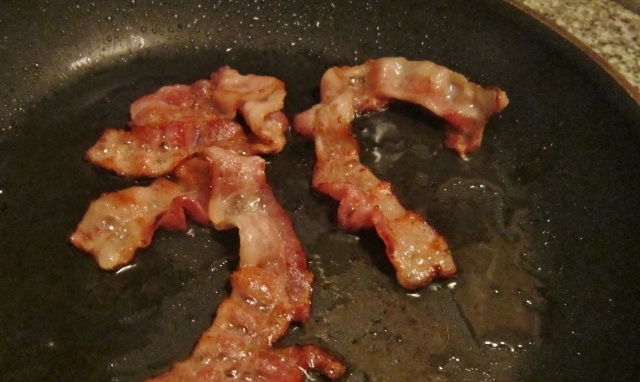 I usually fry the bacon first, clean it off the grease on a paper towel, get rid of all the fat that is left in the skillet and fry the egg in just a thin layer of the bacon fat. as I like the yolk still to be soft, so I cover the skillet with a lid but not too long so it doesn’t get hard. towards the end I put some strips of cheese on top and cover it up for another few minutes, 2 at the most. I love to put tomato paste on my bread, that’s also something papa used to do, and lay the bacon on top and finish it with the egg and cheese. something fresh to go with it is the best, I finished my delicious creole pickled onions with it today. I bought them in new orleans in the summer and can’t wait to get another glass – they are to die for!